Right now, Paris has almost the exact same temperature compared to the month where I was in Seoul hiking mountains in a super inappropriate outfit. Technically this is my first? 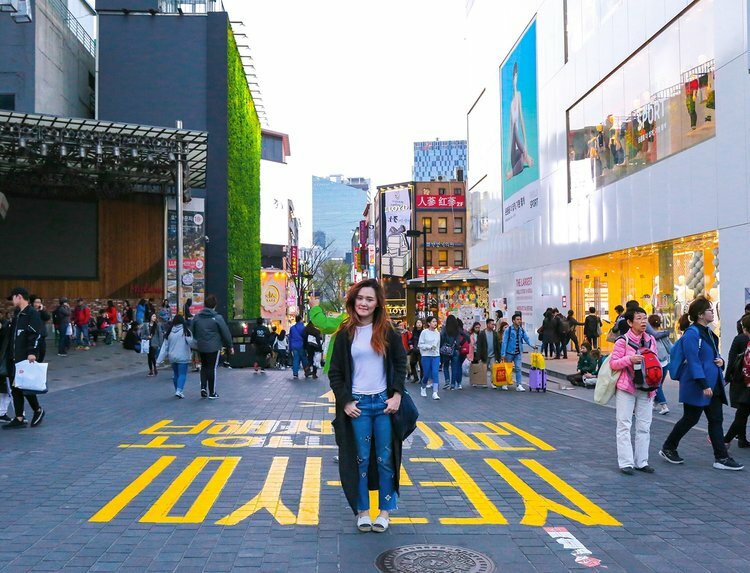 #YOLO moments of my week in Seoul. I got up quite late because the night before was a party experience. The best part about being alone is being able to do what ever you want, without worrying that your travel buddy would be waiting too long for you, "own time, own target" — as my dad would say. I preferred to travel around with buses, especially being in another country. Whenever I google for my directions, I'd select bus as the option. Isn't it much better to stay above the ground and look around the city than being underground? I'd only take the subway when there's no direct buses. I do that in Paris too, especially when Metro stinks. 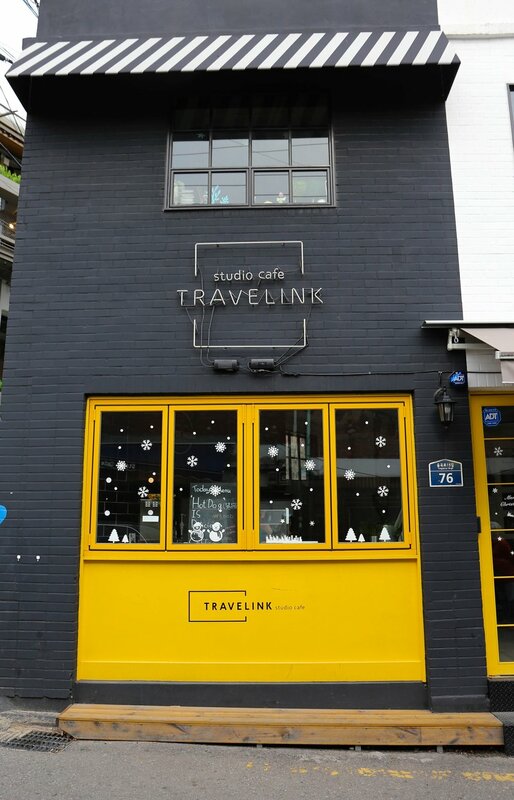 As if I knew that my direction was right ;) After a couple of hours in the colorful neighborhood, I managed to borrow a bit of WIFI from the Ice cream cafe to check out my route to Namsan Park. Time was ticking, I was worried that the sun would go down too quickly for my preference. I googled a preferred bus route, which somehow led me walking for 15-20minutes because I couldn't find the right bus-stop. It was a tiring walk, but I managed to find this; Cheonggyecheon Stream. It would have been a cooling spot to chill and rest after walking so much, but the skies were greying, I had to quicken my steps to get to Namsan Park. Except, I didn't do my research properly and arrived on the other side of Namsan park, way further from the Cable car station. As I was trying to find my way to the cable car station, I was lost and ended up hiking up the mountain / hill all the way to the peak. Such a lazy bum as I (and for not working out more often), I had to take a little break in between. I met a french couple who were on their way down, and I quickly asked them if I was on the right track. They said "Bonne courage! C'est encore loin!" / Good luck, it's still a long way to go! There were lots of tour buses vrooming up the hill, many couples taking their own sweet time to get to the peak. Then there's me #foreveralone I had a number of weird glances, which I guess was due to the fact that I was alone, quite a number of ahjummas and ahjusshis were looking at me too. Can someone enlighten me on that point? there wasn't enough grip. I felt like my espadrilles would rip at any moment. That being said, this pair of trusty #chanelespadrilles has travelled quite a number of places with me. Thankfully, I found another solo traveller, a young korean lady who was hiking up alone, shooting pictures, so I bugged her for a few shots, and YAY. Somehow it was my little proud moment. I made all my way up and paid for a simple ticket just to go up to Namsan Tower, it costs somewhere around 13 000₩. But the queue was super long to go up, it was at least a 45minutes wait for the lift to go up. Since I waited so long to get up, I decided to stay a little longer for the sunset and check out the night view of the city. I waited for another hour or 2 for the lift to go down. But before I head down, I was looking out on the directions to the cable car, which I lost it again when I got to the ground floor *face palm*, but to my relief, I found a Starbucks— stealing wifi to check on my next direction back to the hotel and get some food. I lost the Cable car station, so I descended the hill, all the way to the bottom that led me directly to a bus stop. But thanks to myself losing the sight of the Cable car, I walked under swaying Cherry blossom trees. It was such a romantic atmosphere. With every blow of the wind, it snows sakura! It would definitely feel much more romantic if I ever came with my lover.